Fire up the streets with marvelous kicks from The Playground Premium Outlet’s BUY 1 TAKE 1 Deal. Payday and a long weekend, who isn’t excited? It is time to spoil yourselves and enjoy a well-earned holiday break. Spend your long weekend at the ultimate depot that houses giant brands of shoes, apparel and other active lifestyle essentials. 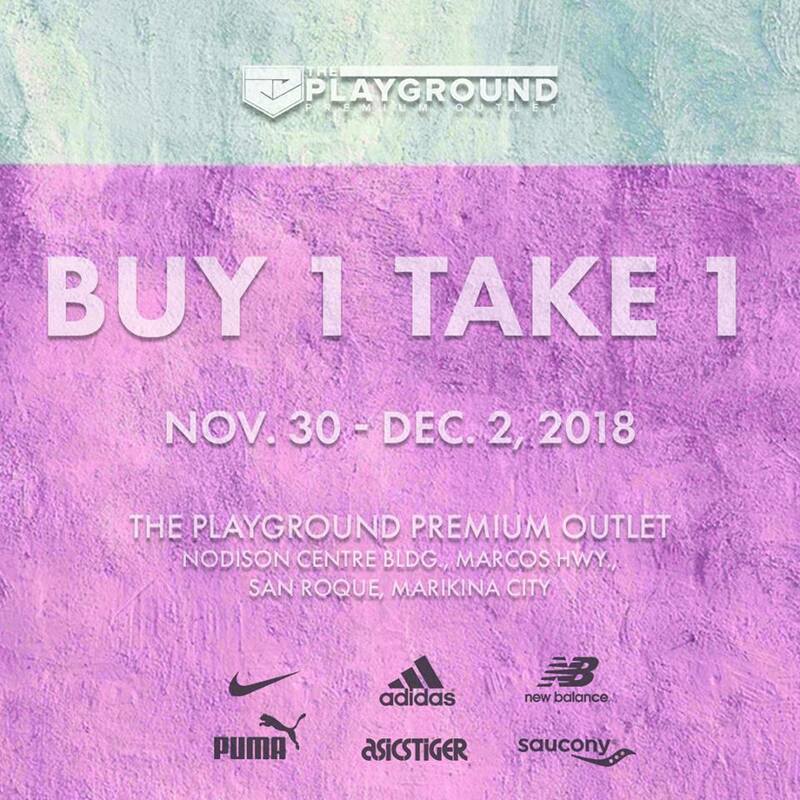 Release your inner beast when you shop at The Playground Premium Outlet’s BUY 1 TAKE 1 Deal from November 30 until December 2, 2018. Don’t let your favorites from Nike, Puma, Adidas, New Balance, Saucony, and Asics Tiger float away. Head on to Nodison Centre Bldg., Marcos Highway, San Roque in Marikina City for a much-needed retail therapy with the whole squad. 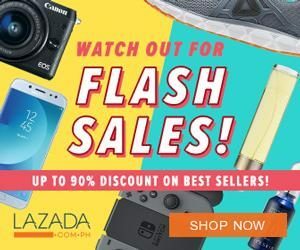 Choose two (2) items from any of the participating brands with the same price point of Php5995 or P6995. Each batch of customers will be given 45 minutes shopping time and 15 minutes checkout time, with a total of 60 minutes. Reservations will not be accepted. For more information and inquiries, visit their official Facebook Page.